Kuti Wildlife Reserve – Travel Guide, Map & More! Kuti is a community-owned wildlife reserve. Thirty percent of all revenue raised is used for projects such as tree planting, rehabilitation of boreholes, and clinics and seedling production to help the surrounding villages. There is a good variety of mammals, and a big marshland area with a viewing deck that is a great spot for bird watchers. As there are no dangerous animals, visitors are free to walk, cycle and drive themselves, though guides are available as well. Kuti works with Lilongwe Wildlife Centre, and is a release site for Lilongwe’s rehabilitated animals. Large mammal species you are likely to see include giraffe, Burchell's zebra, greater kudu, nyala, reedbuck, impala, oribi, duiker and grysbok. Of particular interest is the sable antelope. This usually rare and shy animal is breeding successfully in the reserve, and there are now over 100 of them in different herds. This former cattle ranch is in the process of being rehabilitated so it can return to its natural glory. Although small in size, the area covers grassland, woodland, wetland and savannah, providing habitats for a range of animals. The focal point of the reserve is a large lake. Kuti can be visited throughout the year. 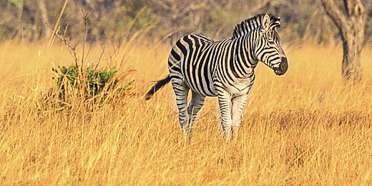 Wildlife viewing is best in the Dry season, especially from July to September, and at the beginning of the Wet season, from December to January, when it is green but the grass is still short. Kuti can be easily visited independently or as part of an organized tour. The reserve is mostly accessible in a 2WD car, although a 4x4 might be necessary after heavy rain. The reserve is located just 10km/6mi from Salima town and 30km/20mi from the resorts at Senga Bay. It is located about 100km/60mi from Lilongwe. Want to Visit Kuti WR?